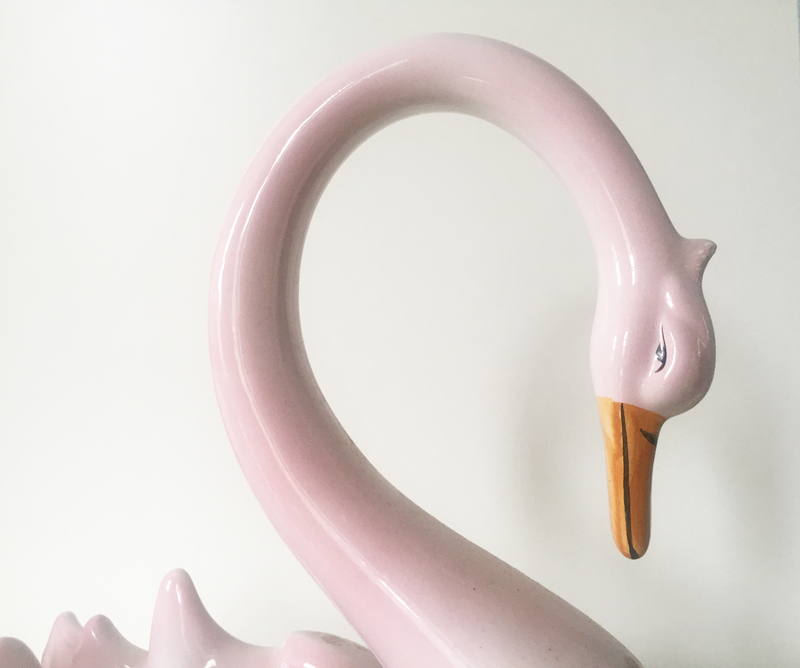 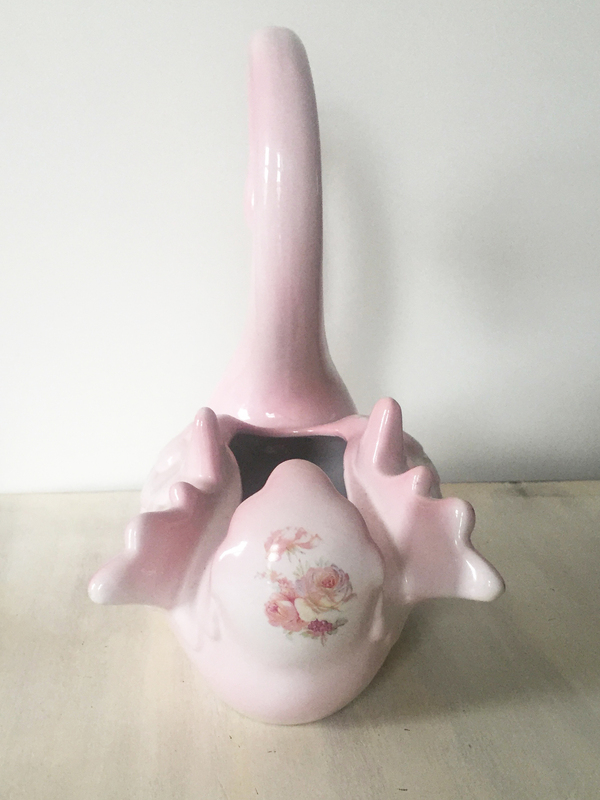 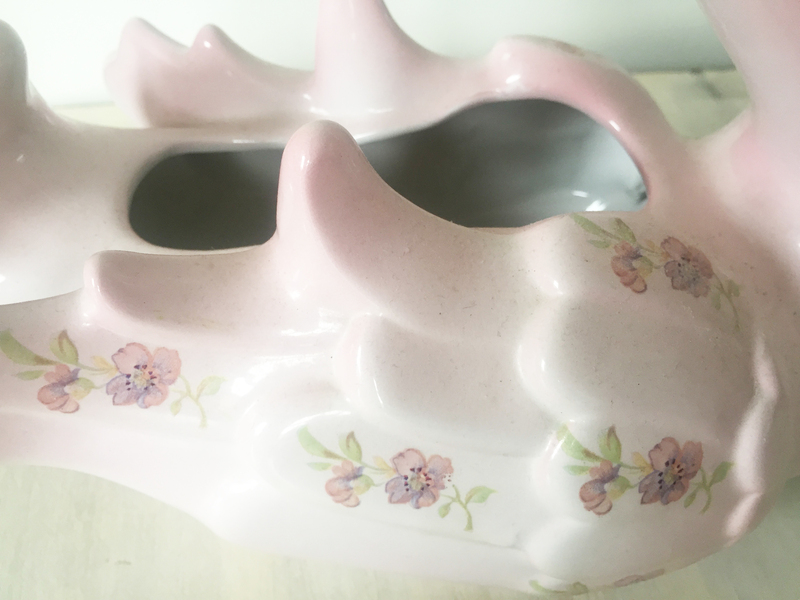 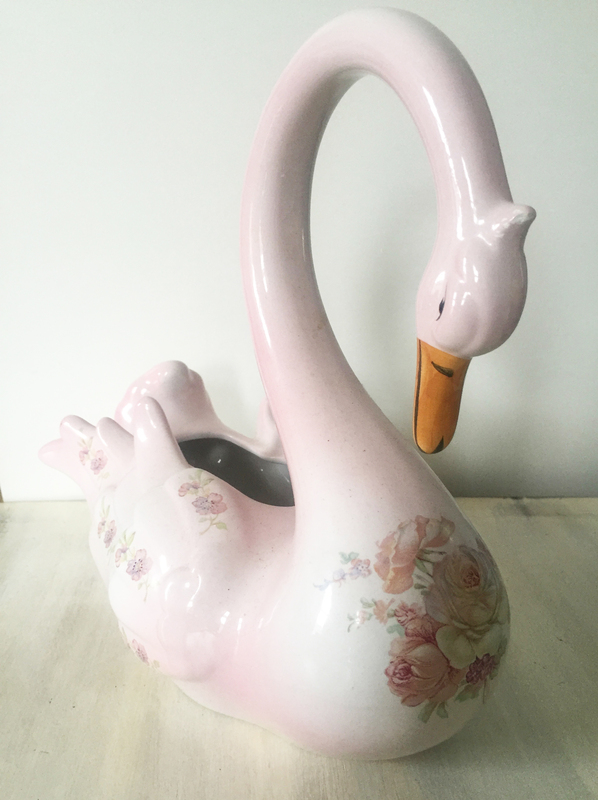 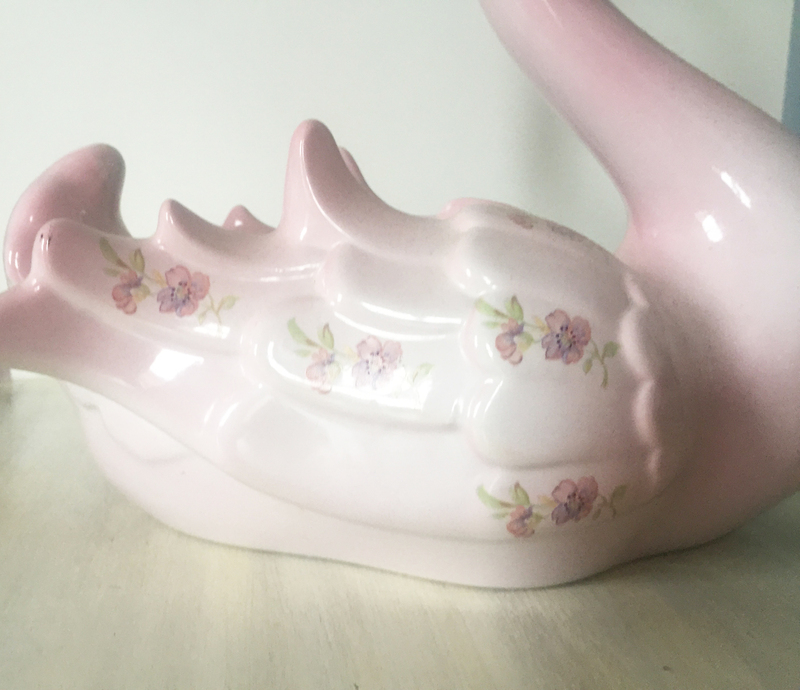 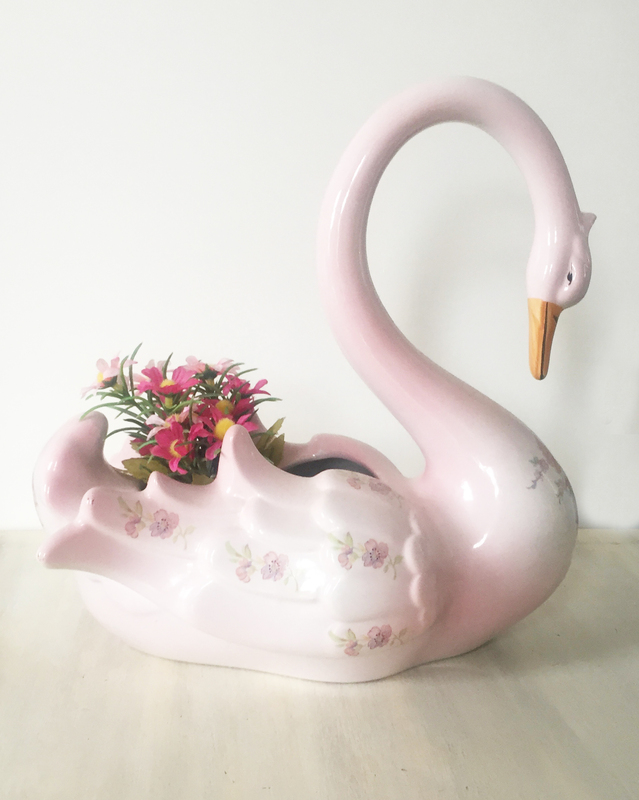 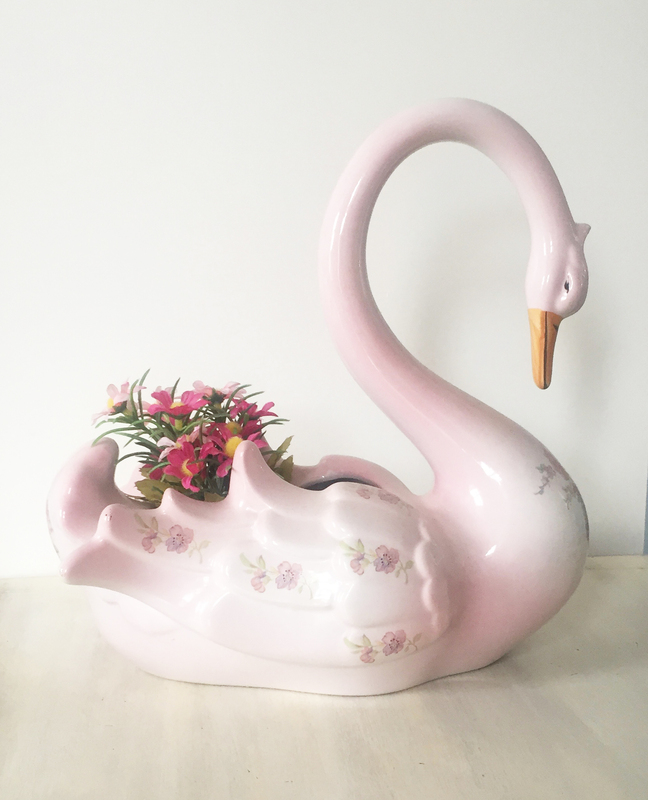 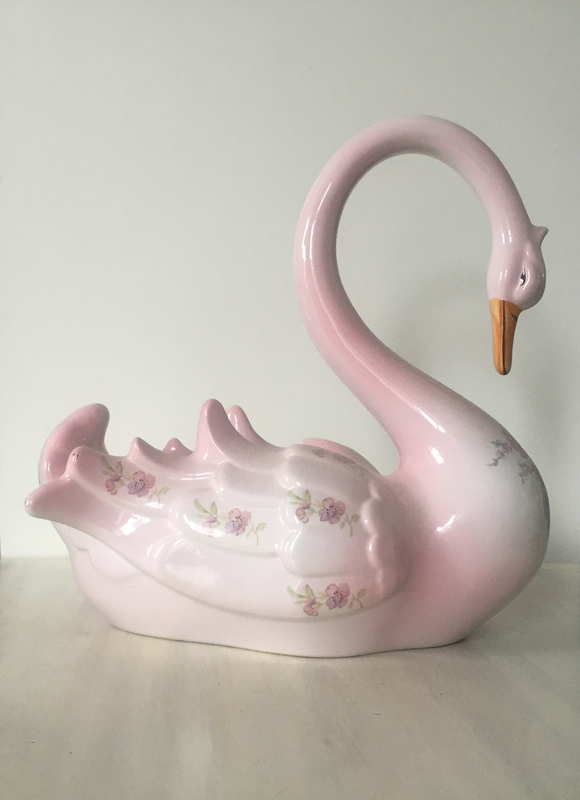 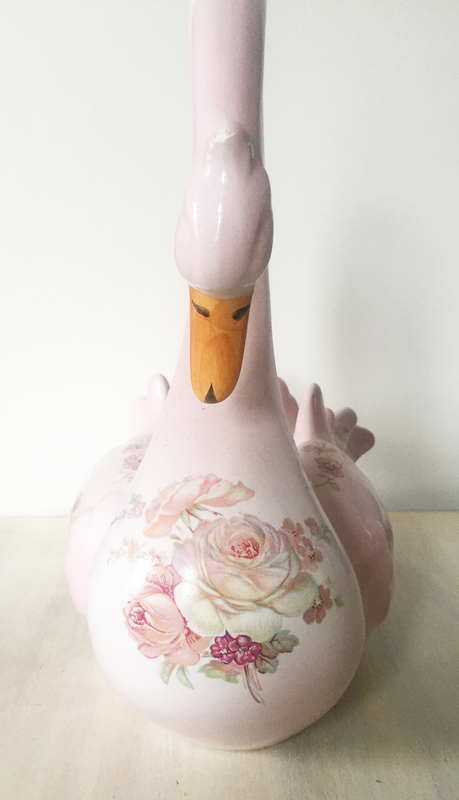 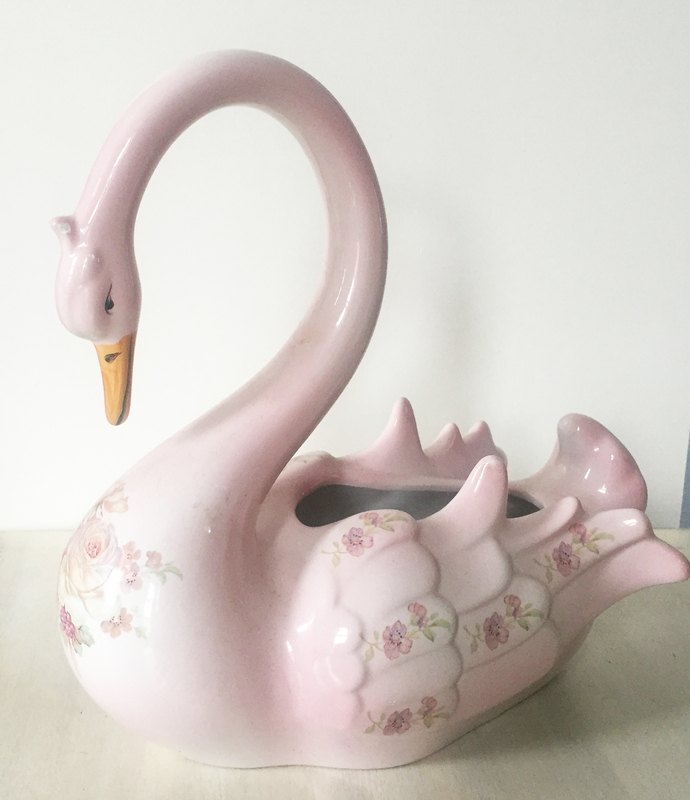 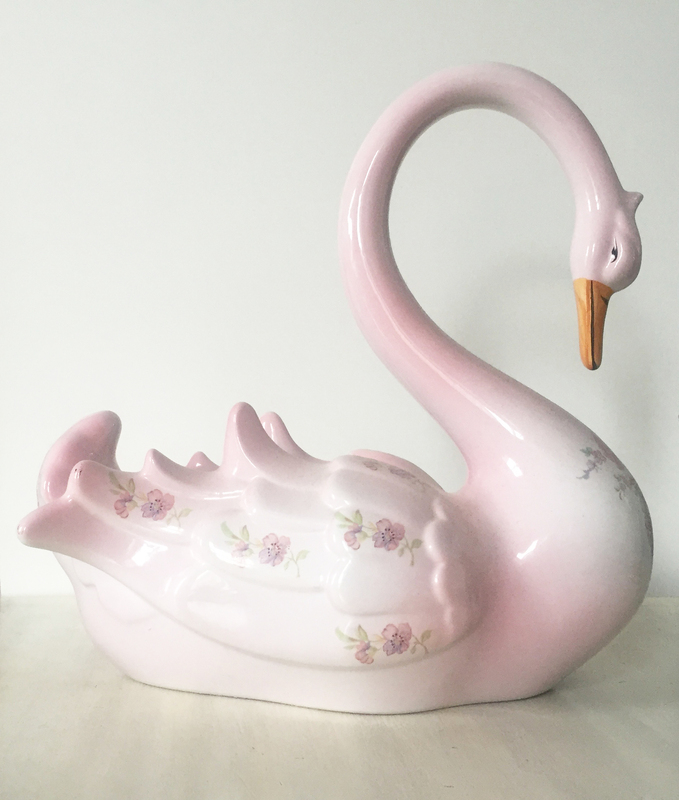 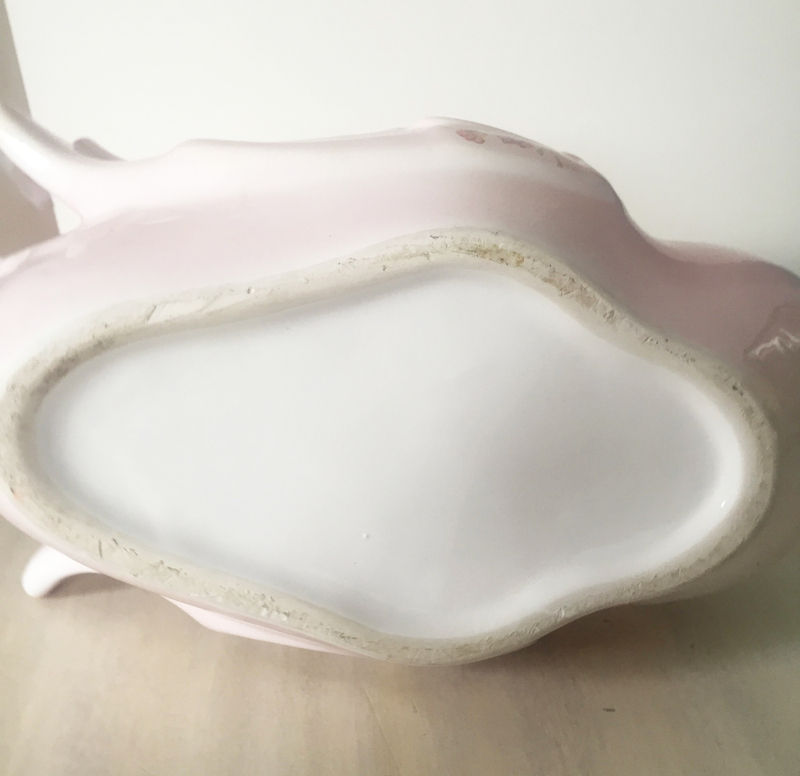 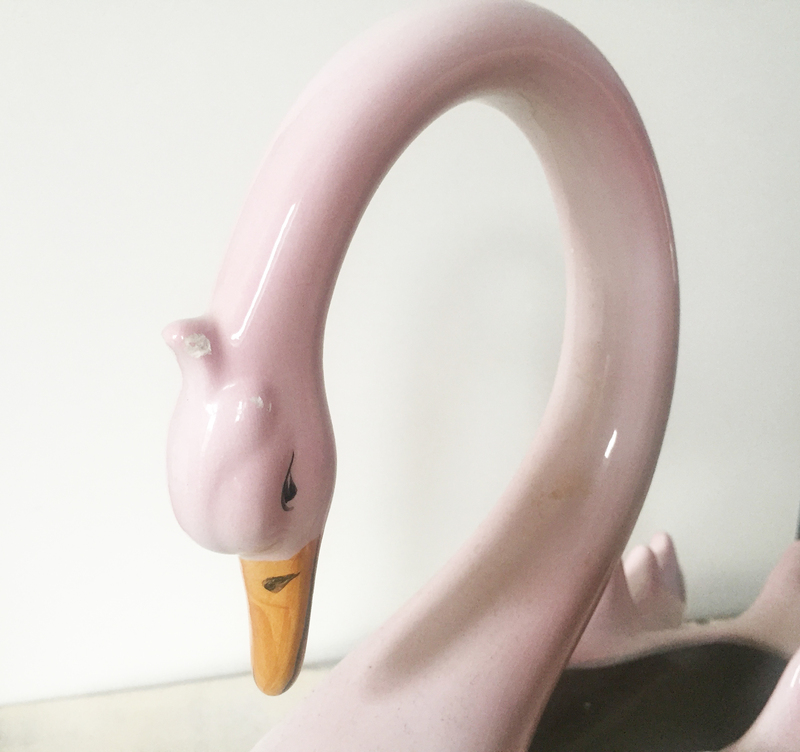 A vintage cute very large swan planter. 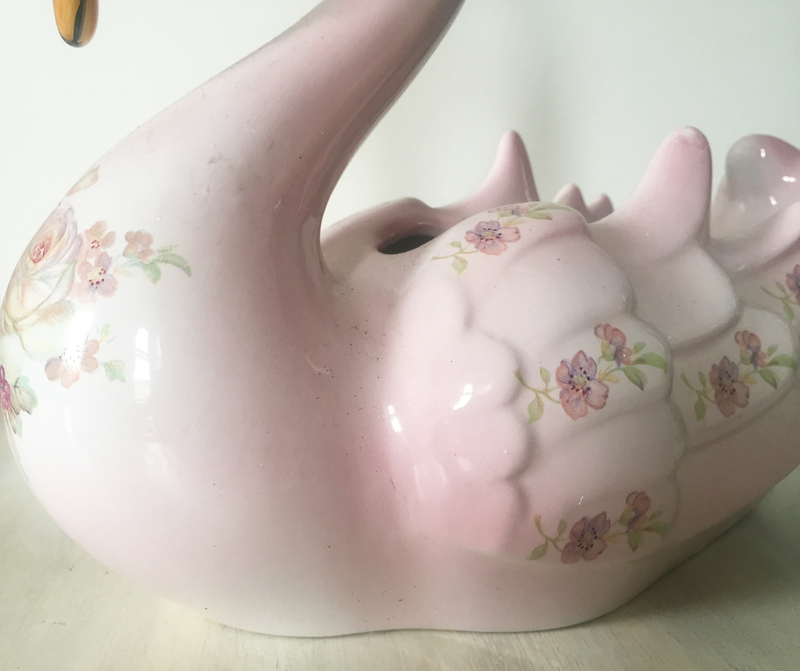 It has no makers marks and a wee knock to the side of hos head which you can see in the pics, but otherwise he is in great condition. 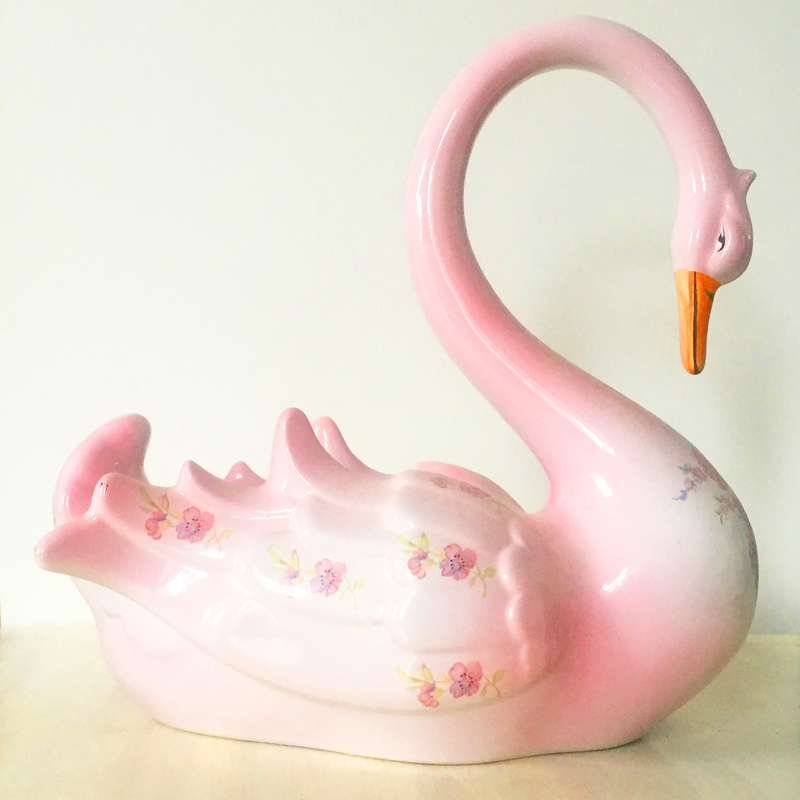 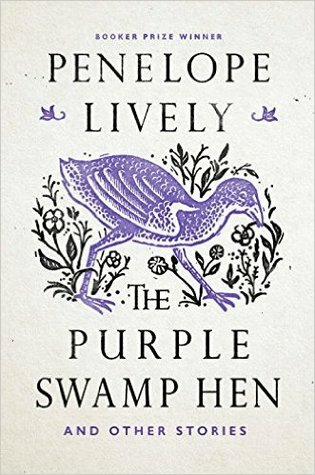 The swan is very large and measures approx 11" wide, 11.5" high and 5" deep.